As we all know the quality and availability of the data center stands or falls with the quality and availability of the power supply to the data center. So data centers are very much depending on the quality and capacity of the power grid, for their daily operations as well for their growth potential. 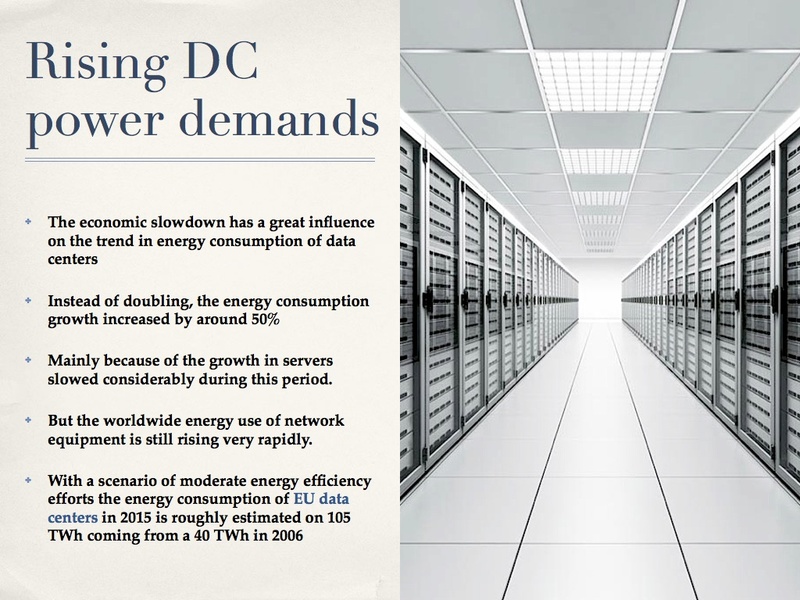 With a scenario of moderate energy efficiency efforts the energy consumption of EU data centers in 2015 is roughly estimated on 105 TWh coming from a 40 TWh in 2006. Also several ‘incidents’ at nuclear power plants (Japan, France, Belgium) caused a shift in energy policies of several EU countries and has sent shock waves through the energy industry. Germany’s government announced in 2011 that it would phase out all nuclear power plants by 2022. Recently the government in France reaffirmed to cut reliance on nuclear energy from more than 75 percent to 50 percent by shutting 24 reactors by 2025 (see this article). Until recently experts were expecting that the usage of variable renewable energy sources would require complex control, coordination and power-balancing mechanisms. Instead of a small number of large power plants in the old power grid, the new power grid will link a larger number of small, decentralized power plants with the consumers. In other words power lines will no longer form star-like networks and linking a few large power plants to nearby consumers, but will look more like a meshed network linking many generators with the consumers. There is a fear that such a dense power grid, with intermittent energy sources, would be vulnerable to power outages because it is much harder to synchronize the many generators and machines of consumers. A good example of this discussion are the recent power grid developments in Germany. In contrast of this, scientists at the Max Planck Institute for Dynamics and Self-Organization in Göttingen have now discovered in model simulations that whereas more decentralized grids become more robust to topological failures they simultaneously become more sensitive to dynamical perturbations. The simulations indicate that decentralized grids are much more robust when single lines are cut (such as the 2006 power outage around Europe, caused by the shutting down of a single line in Northern Germany). A dense grid can compensate more easily, take the extra load, for a line outage. 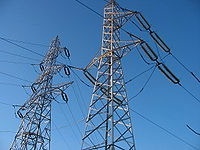 The transformation of the current power grid raise the question of where to add new connection lines to the already existing grid. The computer model showed that adding new links may not only promote but also destroy synchrony. Adding new lines can hinder power transmission. This counter-intuitive phenomenon is known as Braess’s paradox. It shows that careful consideration should be given to which nodes can be linked without risk. The expansion of renewable energy still holds challenges for the stability of the grid. 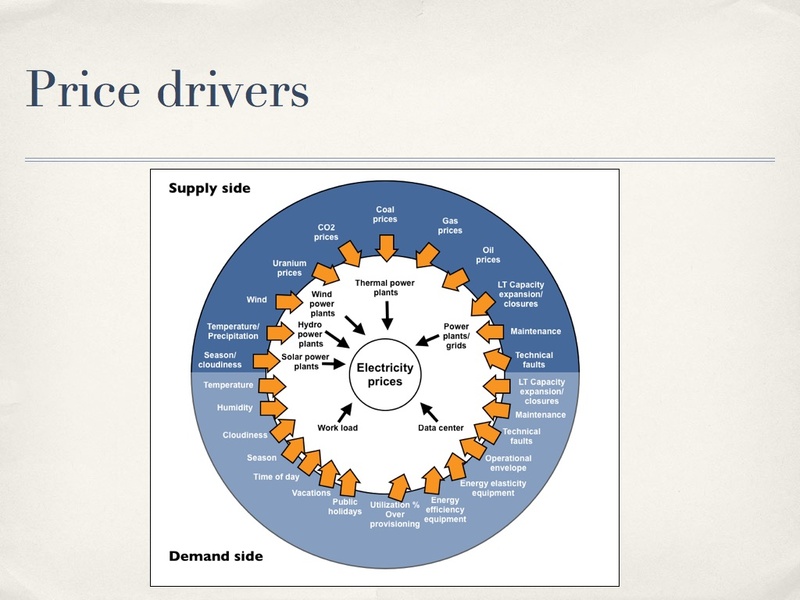 The simulation model showed that a highly decentralized grid is more vulnerable to strong fluctuations in consumption. Large power plants can buffer these fluctuations in demand more easily than small ones, The grid can tap into these spinning reserves at short notice to cover supply gaps, an option which is not available in the case of renewable energy sources. The Network Dynamics Group based in Göttingen currently starts collaborating with network operators to ensure that their findings can be put to practical use. In the meantime, the research group is improving the model. Their current focus is to integrate weather-related fluctuations in renewable energy sources into their simulations. As we all know the quality and availability of the data center stands or falls with the quality and availability of the power delivered by the power grid to the data center. But the current power grid is under pressure. Although suitable for the last century, the current power grid cannot handle the new demands. This is the political and legislative framework that shapes the electricity market in Europe. 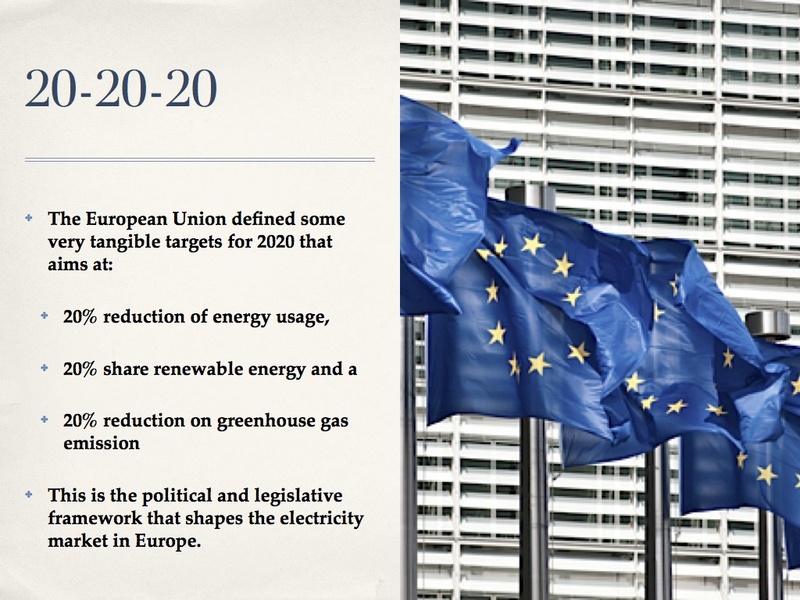 The EU 20-20-20 goals in combination with the intermittent nature of the renewable energy sources, and the aging power plant fleet and power grid of the EU makes it necessary to update the current power grid to a new and smart power grid. Therefore the power and utility sector will require a substantial amount of investment during the next 15 years to make this transformation possible. A good example of this are the recent developments in Germany. Following the accident in Fukushima, Germany’s government announced in 2011 that it would phase out all nuclear power plants by 2022. That is about 23% of their power production capacity. At the same time, in 2011, there where periods that the German windmills generated so much power that power generators were paying consumers to buy their electricity for a short time otherwise they had to shut off base load power plants. This phenomenon is known as ‘negative electricity prices’. In 2012 the German solar power plants even produced a world record with 22 gigawatts of electricity per hour, this met with nearly 50 percent of the nation’s electricity needs. This flood of renewable energy influence the profitability of the traditional power plants and also put pressure on the necessary investments in the adaption and replacement of an aging conventional power plant fleet. Several stakeholders of the power supply chain; power plant owners, transmission system operators and large customers (enterprises) have expressed their worries about recent developments and the increasing risk of unstable power supply. Recently the four German transmission system operators (TSOs) 50Hertz, Amprion, TenneT TSO, and TransnetBW published for the first time a report about the transformation of the current power grid to a new smart power grid. 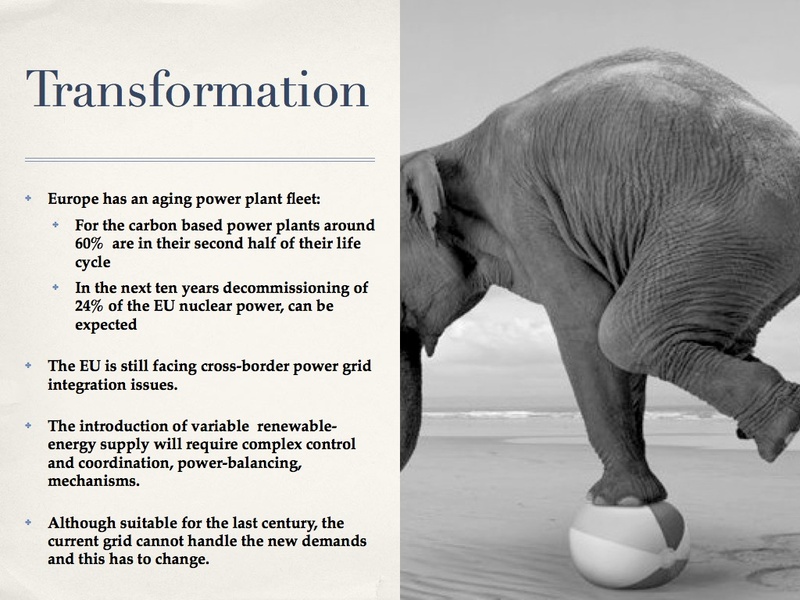 Using different development scenarios this plan, NEP 2012, points to the new needs for electricity transmission between the start and end points in the power grid. The current draft of the network development plan, NEP 2012, is open for public consultation until 10 July 2012. 1) Consumers distance: wind will continue to be the most important energy sources, renewables. Most of the local wind energy is produced by many wind turbines on land and at sea in the north. Large amounts of energy must be transported from there to the present and future consumption centers in central and southern Germany. The current electricity grids are not designed for the transmission of large amounts of electricity over such long distances along the north-south axis. 2) Decentralization and diversity: Creating Strong, centralized systems (which include wind farms and large solar systems are), are complemented by a large number and variety of different small and medium-energy producers in Germany. These include, for example, solar energy systems, biogas plants on farms, the turbines on the plains and hills, and many more, including new and innovative energy sources. 3) Volatility: Unlike fossil and nuclear energy sources that allow a steady flow of energy and transport into the power grid, the electricity generation by alternative energy sources depends on the weather and so they are sometimes extremely volatile. 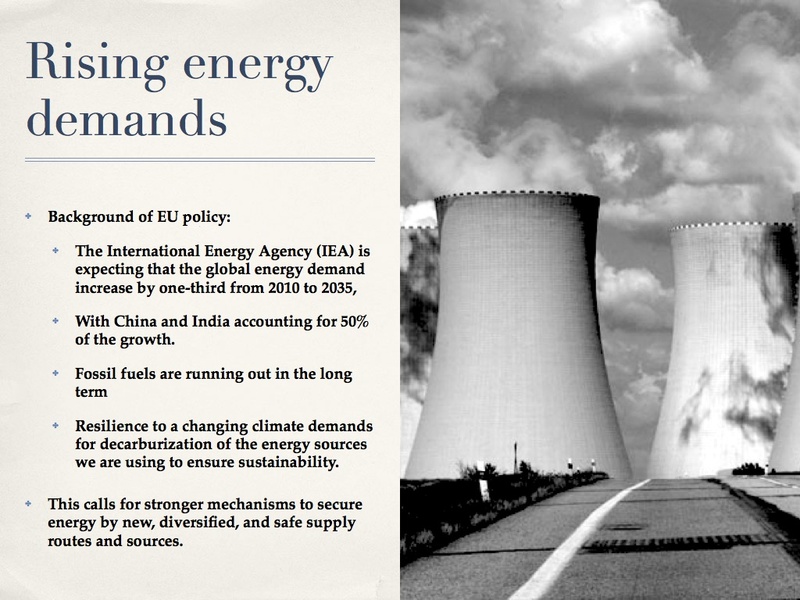 The volatility of energy is constantly increasing and will likely continue to be the rule rather than exception. Striking a balance between production and consumption and thus maintain the network stability in the future, the number of producers, consumers, and storage must be actively and intelligently integrated in the network operation. 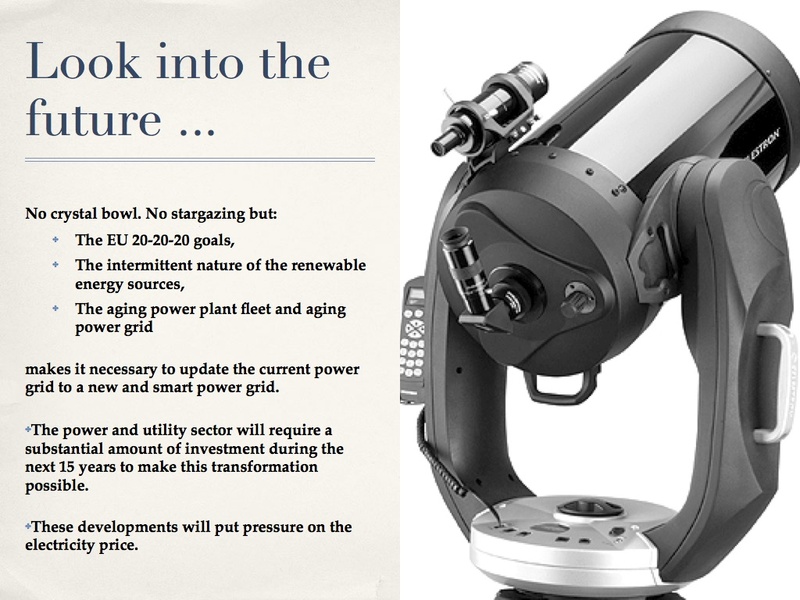 The TSOs want to pursue these new technology developments and integrate them into any new NEP. According to them the energy landscape of tomorrow will be more diverse and interconnected, and it presents completely different demands to power grids. The TSOs stating that the German power grid is considered one of the safest and most reliable worldwide. But presently the growing integration of renewable sources of energy and the increase in the fluctuating supply brings the networks to their capacity limits. This gives the risk of network collapse or the shutdown of renewable energy. The network expansion in Germany currently lags behind the expansion and usage of renewable energy sources. New energy sources will need new networks. The TSOs are emphasizing that the modernization and the need for adequate expansion of German power grids are a first step and prerequisite for the success of the energy transition, and thus key to the entering of the new era of renewable energy. Much work must be done so that the grids do not remain the oft-mentioned bottleneck of energy transition. The core of the new transmission network are four DC-transmission corridors with a route length of approximately 2.100km and a transmission capacity in the North-South direction provided by 10 GW. The new building-lines for the AC power is about 1.700km. The estimated investment costs in the German transmission grid by 2022, depending of the chosen development scenario, vary between the 19 and 23 billion euro. 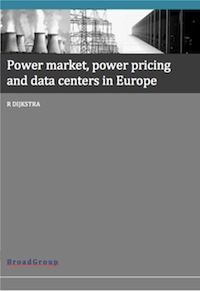 Data Center stakeholders should closely watch the current Power Grid developments in Europe. 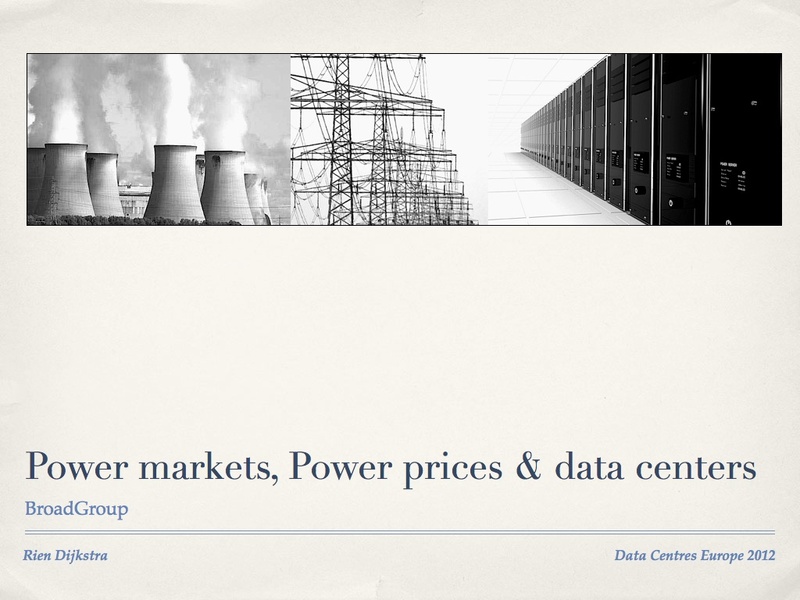 If you are interested in this topic, have a look at the presentation on Power markets, Power prices and Data Centres in Europe given at Datacentres 2012 conference in Nice. Or read more about this in the report published by Broadgroup. And if you can read German you can find the NEP 2012 report here. At the Datacentres 2012 conference in Nice, there were some very interesting discussions about the interrelation and resemblance between the power grid and the data center. Christian Belady started the conference with a keynote speech where he raised the question; Why are we separating the power generation from the data center? Why do we generate power in a separate power plant and struggle to get this power by transmission and distribution networks to a separate data center where data is generated by computers? Why don’t we instead bringing the data generation (computers) to the power plant and get rid of the transmission and distribution grid? The business case for this transformation is based on difference in price for a power grid network per kilometer and a glass fiber network per kilometer. Belady was emphasizing to think out of the box and to question what is really necessary to run a data center. But Belady also stated to think about using ideas and concepts from other industries. He pointed at the resemblance between managing a power grid and managing a data center in terms of variable work load, capacity management, load peak shaving etc. That is indeed a very interesting thought. 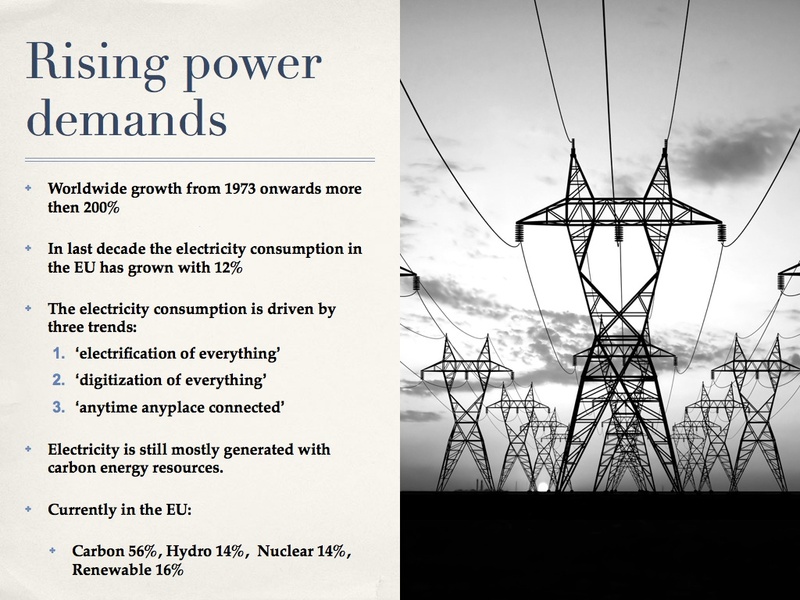 The rise of electricity consumption is spectacular. From the seventies onwards the worldwide growth is more than 200% . The growing dynamics in supply and demand of electric energy put a lot of pressure on the current power grid. For a power grid demand and supply of power must be the same, in equilibrium, else there is the risk that this infrastructure shuts down. Loss in transmission and the level of congestion on any particular part of the grid will influence the dispatch of the generated units of electricity. For a power grid the load or the required amount of electric power falls into three categories: base load, intermediate load and peak load. Base load refers to a relatively constant output of power plants over a period. In contrast, peak load refers to surges in electricity demand that occur at specific, usually predictable periods, such as evening peak load. Finally intermediate load refers to the fluctuating demand for electricity throughout the day. Question is, how the current power grid must handle the new demands and new dynamics real-time? But the same can be said about the data centers and networks or “IT grid”. The rise of data consumption is spectacular. 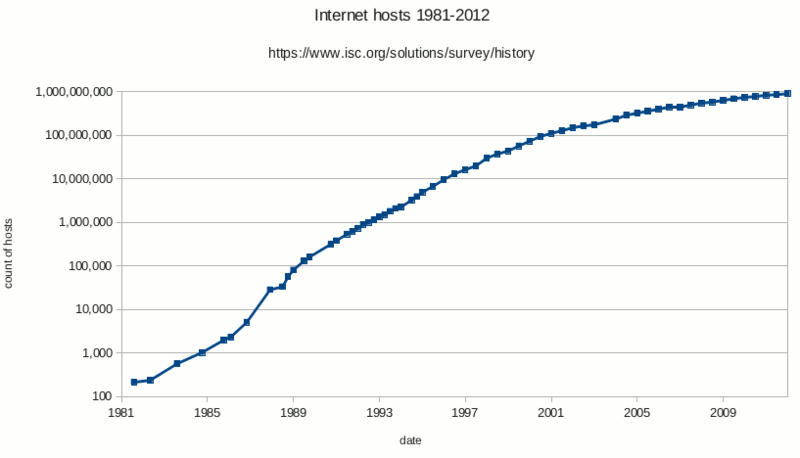 From the eighties onwards the worldwide growth has been exponential. The growing dynamics in supply and demand of data (cloud computing) put a lot of pressure on the current IT grid. For an IT grid demand and supply of power must be the same, in equilibrium, else there is the risk that this infrastructure shuts down (time outs because of latency). Loss in transmission and the level of congestion on any particular part of the IT grid will influence the dispatch of the generated units of data. For an IT grid we also can differentiate the load or the required amount of data processing into three categories: base load, intermediate load and peak load. Base load refers to a relatively constant output of data centers over a period. In contrast, peak load refers to surges in data demand that occur at specific, usually predictable periods, such as mid day peak load. Finally intermediate load refers to the fluctuating demand for data throughout the day. Question is, how the current IT grid must handle the new demands and new dynamics real-time? There is the issue in the data center in how to service, provide and to organize, in an (energy) efficient way, the base load, intermediate load and peak load. The importance of capacity management is growing just as the need for control and administration. As the data center industry relies increasingly on information to operate the data center system, two infrastructures must now be managed: not only the Data Center Infrastructure, but also the Information Infrastructure for control and coordination. This need can be found back in the rising interest in topics like data center automation, data center infrastructure management (DCIM), service orchestration and management. This is also the point where the data center industry can learn from the power industry who have dealt with this issues for almost a century and now are transforming the current power grid to a Smart Grid to deal with the new demands and new dynamics. Based on a report I wrote for Broadgroup I was invited speaker at Data Centres 2012, a European data centre conference whose theme is “energizing the future of Information Technology delivery,” scheduled for May 23-24 in Nice, France. 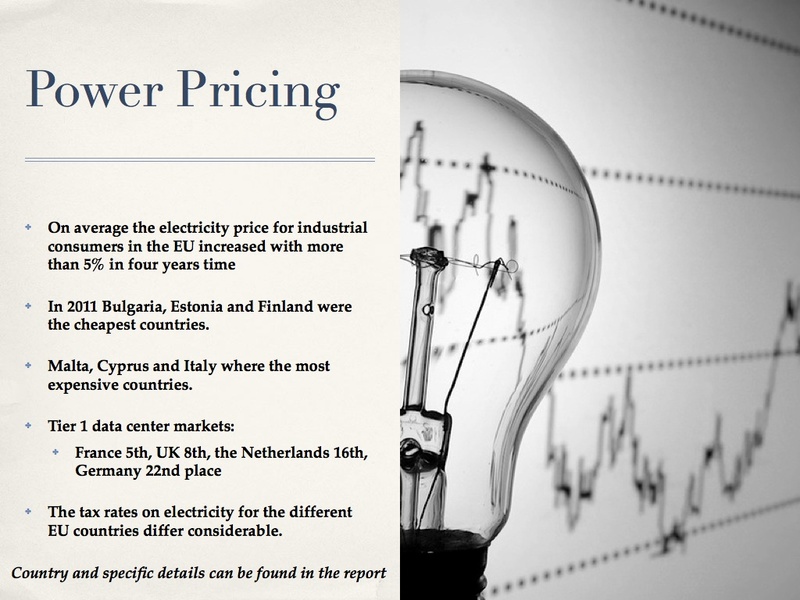 Some thoughts and high lights from the report ‘Power market, Power prices and data centres in Europe’ (which is available from BroadGroup) were shared in this presentation. The conference included 100 speakers, three conference theatres, and five master classes. The attendance was more than 750 professionals from 30 different countries. The two-day event offered insight, learning, networking, marketing and business opportunities across data centre and cloud markets in Europe. To get an impression of this event have a look at the blog entries from Michael Manos with some impressions. The quality and availability of the data center stands or falls with the quality and availability of the power supply to the data center. Besides knowledge of the retail prices of electricity it is also necessary to have a good understanding of the current trends in electricity production and consumption. 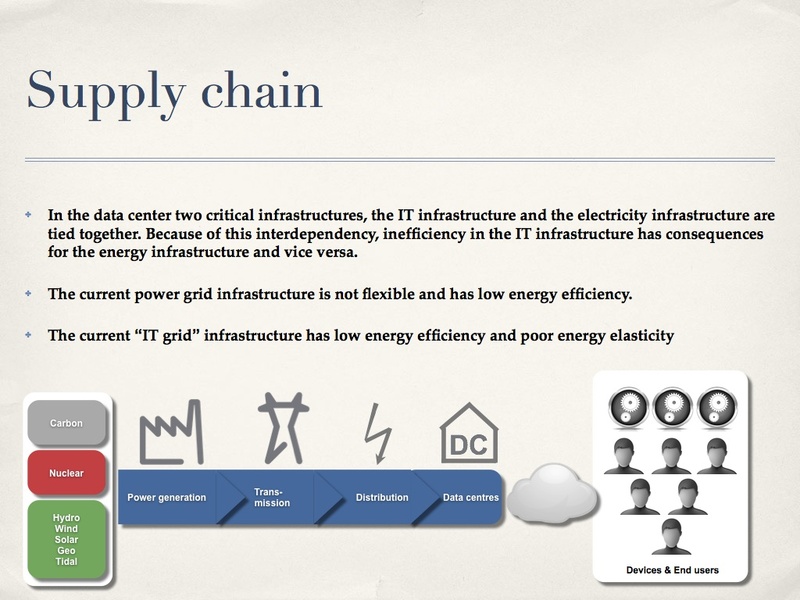 At the end data, centers have to compete with many other consumers to get access and supply of scarce energy sources. Therefore it is also important to have an overview about current developments and trends in the electricity supply chain and electricity infrastructure. Data Center operators must make Power or Electricity management as one of their core work processes. As we all know the quality and availability of the data center stands or falls with the quality and availability of the power delivered by the power grid to the data center. The IEA’s estimates are that the amount of money required for the implementation of the necessary investments is close to 1900 billion euro! We have a launch off, the book Greening IT is finally published online (free to download), and in print. 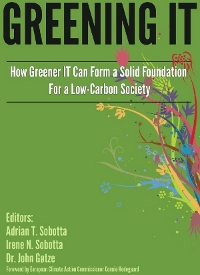 The book aims at promoting awareness of the potential of Greening IT, such as Smart Grid, Cloud Computing, Thin Clients and Greening Supply Chains. The chapter “Why Green IT is Hard – An Economic Perspective” is my contribution to this book. See Greening IT and read the following press release. To sell and/or explain the concept of Cloud Computing, the rise of Cloud Computing is much compared with the history of industrial power supply. By the end of the nineteenth century, (geographically) restrictive and inflexible direct connection of manufacturing machines to local power plants such as waterwheels, windmills, and steam engines gave way to electrically powered machinery getting its power through power lines from far away power plants. The shape and character of factories changed dramatically during the twentieth century, as electrical powered devices could be sited almost anyplace, anywhere. By centralizing power supply, benefits for economies of scope and economies of scale were claimed. Nowadays this modern electrical power infrastructure is composed out of several standard service blocks: power plant, power transmission and power distribution networks to give electrical power to all kind of end-devices. 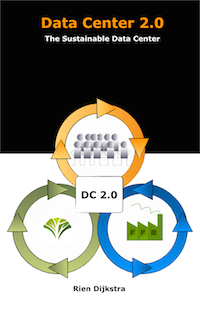 In the delivery of compute process power and storage capacity we see a same kind of development: local, private data centers with proprietary infrastructure solutions are transforming to huge centralized generic data centers, that offers a (semi-) public utility service, to fulfill an economy of scale promise and to transform capital expenditure to operational expenditure. This modern cloud computing infrastructure is composed out of several standard service blocks: data center, transmission network (Internet) and distribution networks (MAN, (W)LAN) to give process power and storage capacity to all kind of end-devices. “A smart grid delivers electricity from suppliers to consumers using two-way digital technology to control appliances at consumers’ homes to save energy, reduce cost and increase reliability and transparency. It overlays the electricity distribution grid with an information and net metering system. Such a modernized electricity network is being promoted by many governments as a way of addressing energy independence, global warming and emergency resilience issues. 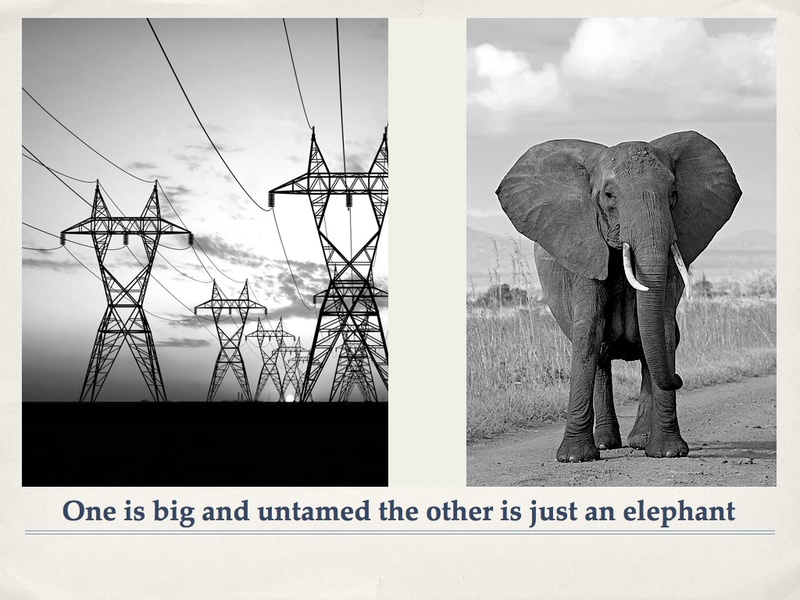 Smart meters may be part of a smart grid, but alone do not constitute a smart grid. A smart grid includes an intelligent monitoring system that keeps track of all electricity flowing in the system. …. When power is least expensive the user can allow to the smart grid to turn on selected home appliances such as washing machines or factory processes that can run at arbitrary hours. At peak times it could turn off selected appliances to reduce demand.” (source: Wikipedia). So instead of relying only on centralized power plants there is another solution, another paradigm, that is much more focussing on an intelligent localized delivery of service. These two kind of solutions can even be mixed in a hybrid service model where a macro, centralized, delivery model works together with a localized delivery model using intelligent two-way digital technology to control power supply. Historically, information processing has relied on a client-server model with continuous shifting of the percentage of work that was done by the client or the server (depending on the technical possibilities of that moment). This model has shaped all applications such as the web, electronic mail messaging, ERP, CRM, etc. Cloud computing is in that sense nothing more and nothing less than bringing the client-server model on another level or scale: transforming the client-server model to a client- data center model. But if we compare cloud computing with the developments in power supply don’t we forget a solution? What about the intelligent localized process power and storage capacity unit, the IT µGrid or the smart data center grid that brings the macro data center grid and the µ – data center grid together? There are already some very familiar solutions available that are heading to the direction of a smart grid, grid computing (such as the BOINC initiative) for processing CPU bounded, number crunching programs or peer-to-peer (P2P) networks for content delivery. Of course these are just PC’s but if we scale up and replace the word PC’s for Data Centers or Data Closets? Although the airplay is rather small until now, their is an initiative for a managed peer-to-peer model to form a distributed data center infrastructure. This concept is called Nano Data Centers (NaDa). NanoDataCenters is a European Union research program as part of the so called Seventh Framework Program (FP7). According to the website of the project: “The NADA architecture is a new distributed computing paradigm that relies on small (“nano”) sized interconnected data centres spread along the network edges. The architecture aims to address the concerns and the shortcomings of monolithic datacenters that are the present day norm.” NaDa (Nanodatacenters) is the next step in data hosting and in the content distribution paradigm. By enabling a distributed hosting edge infrastructure, NaDa can enable the next generation of interactive services and applications to flourish, complementing existing data centres and reaching a massive number of users in a much more efficient manner. The NaDa objective is to tap into these underutilised resources at the edge and use them as a substitute/aid to expensive monolithic data centers.” Several project results are already available and can be download. In delivering process power and storage capacity there are apparently two opposite approaches, “bigger is better” and “small is beautiful”. The current “bigger is better” model of cloud computing leads, although shifted from customer to supplier, still to enormous capital expenditures, problems in power usage and cooling, power supply (Critical Areas for Transmission Congestion) and leads also to some structural vulnerabilities in terms of resiliency and availability of the infrastructure. The alternative p2p data center approach leads to questions about delivering enough “horse power”, network capacity, network supply and the governance of such a distributed system. Looks like the comparison between power infrastructure and IT infrastructure is still very interesting so paying close attention to the developments in smart grids and µGrids is useful.